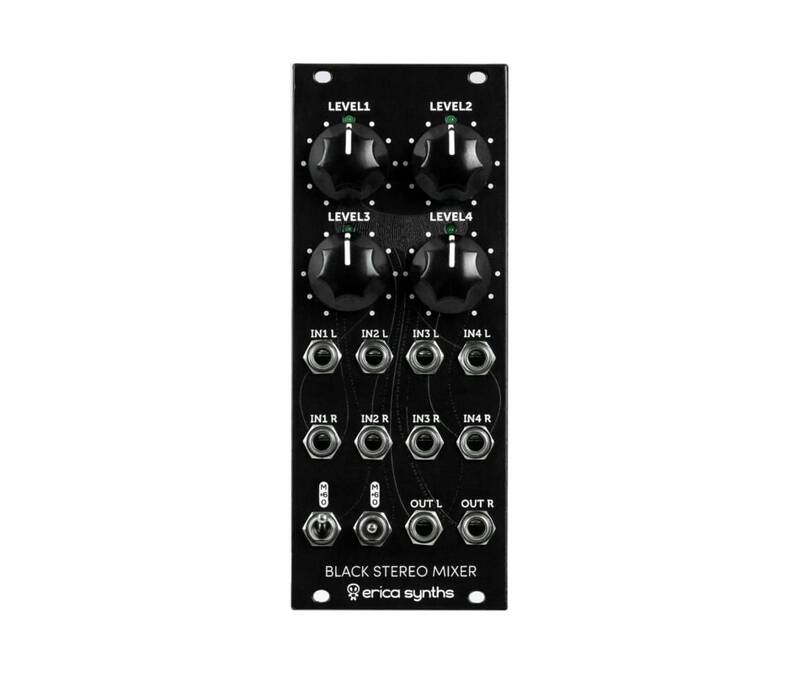 Black Stereo Mixer is just what you need, if your setup has several nowadays gaining popularity modules with stereo inputs or outputs, like Black Hole DSP, Erica Fusion Delay, MI Clouds or some other. In order to save rack space, we designed compact mixer with lot of cool, performance oriented features. In order to save rack space, we designed a compact mixer with a lot of cool, performance oriented features. Check out also the Black Pre-fade Listen Expander that is a satellite module to Erica Synths Black Stereo Mixer! Erica Black series are high-end modules with unique functionality. Only the highest quality components are used and all inputs and outputs are protected against undesired overvoltage. When designing the Black Series, we did not economise on the module width, we put design and usability first. Big knobs are assigned to functions that make difference in sound. Together the Erica Black series are a range of modules that make an entire synthesizer.